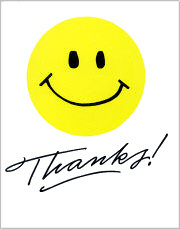 Feed a Smile: WE HIT THE 7.5 MILLION LINDENS MARK YESTERDAY! HOW COOL IS THAT?!! WE HIT THE 7.5 MILLION LINDENS MARK YESTERDAY! HOW COOL IS THAT?!! During Youngsta, Oopsee and Moni’s super 3-day event we hit the 7.5 million Lindens donated mark last night! 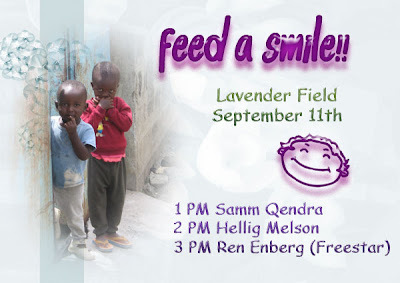 That means a lot of smiles fed and a lot of smiles to be fed :) I would like to take this opportunity to say thank you – merci – danke – asante sana – to all of those wonderful and talented musicians, venue owners and friends who donate their time and energy to help provide these meals to the kids in Nakuru. They are truly blessed to have these wonderful people – and their fans - supporting them in this very special way. Samm Qendra, Hellig Melson and Ren Enberg will be gracing our stage at the Lavender Field today – starting at 1PM. I’m looking forward to seeing you at the Lavender Field.